Obviously, sleep is going to be a factor, but what I didn’t realize was the extent of it. Like, the numerous times I’d be getting up in the middle of the night to change poo-splosions and to feed my chunky monkies. Let’s just say, I started drinking coffee after I gave birth to my first in April 2015. Learn not to compare yourselves to other parents. Even your most “perfect” Facebook friend probably loses their crap a time or twenty. You’re not the worst and you’re not alone; take comfort in that. 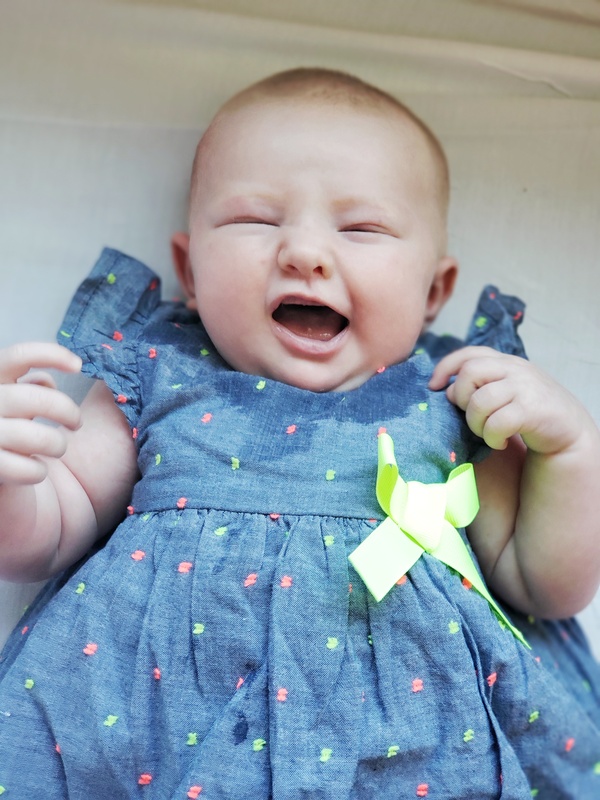 I didn’t know this with my first in her newborn stage, but, it’s crucial to make sure your baby’s gut is on the right track from the very beginning, so it has all of the good bacteria it needs while it’s still in the development stage. By addressing the issue of gut health during this early window, it allows baby’s gut, digestive system, and immune system to continue to grow, protect and thrive before introducing solid food around the 6-month mark. When more good bacteria is present in the gut, it creates a strong, protective wall and crowds out the bad bacteria. When a baby is low on probiotics, there is little protection on the lining of the digestive system. When there is little protection, then the esophagus, stomach, and intestines can easily become rubbed raw and painful, and sometimes even bleed. By doing this, you can prevent autoimmune and metabolic issues like eczema, yeast rashes, thrush, allergies, diabetes constipation and acid reflux. Thankfully, Delilah hasn’t had any of these issues during her 2 months of life, but she’ll continue to get baby probiotics regardless. This is putting it lightly. It’s painful and it’s stressful, but if you can get past the 2-week mark, I promise it will be much better and your little one will thank you for it. It just takes some real dedication to push through the bleeding/cracked/painful stage. If I didn’t have my husband coaxing me on with my first child, I probably wouldn’t be doing it this time around. And yes, it hurts the 2nd time too. Although I was never really a neat freak, I do like to keep things somewhat tidy. Have a kid and that will all go out the window. You’re sleep deprived, cluster feeding and the last thing on your mind is the dishes. Having a baby is an unpredictable phase in life that brings disorganization, chaos, and mess. Just embrace the change and go with the flow until you can get back to some semi-normalcy. Do you have anything you wish you knew before becoming a mom? 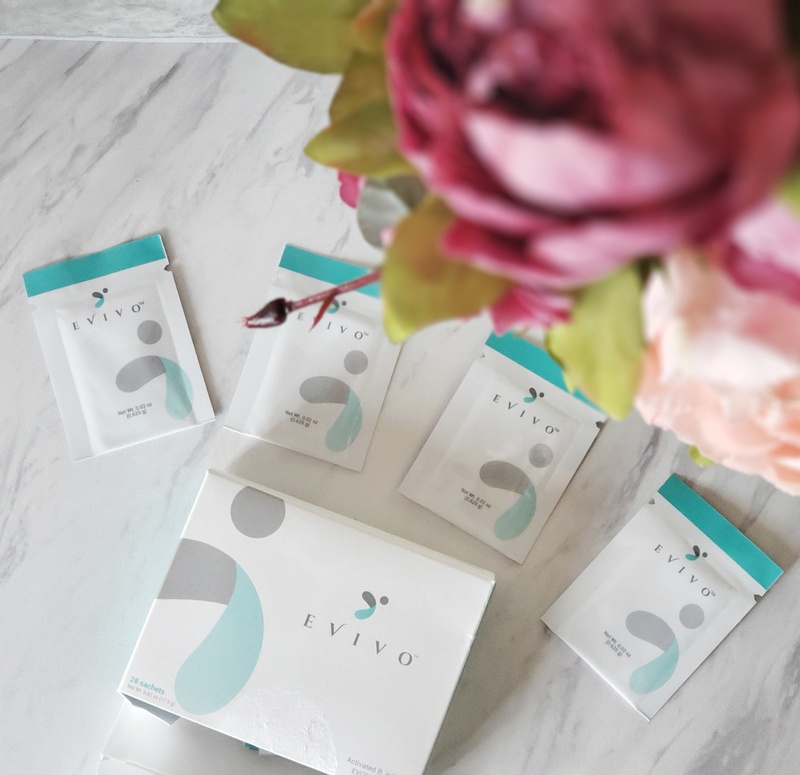 You can also head on over to Evivo to learn more information about baby gut health and why it’s super important! Use the coupon codes below to save on Evivo Baby Probiotics. Breastfeeding was hard work to start with. Once I got a few weeks in I enjoyed not having to make bottles and the bonding time is priceless. I was so nervous when I had my first child. I sanitized the heck out of everything, including the pacifier every single time it was dropped. I wish I knew that creating routines are so important and sticking to them for the most part. Being a mom is such a beautiful journey and a wonderful learning experience. Go slow and when your feeling overwhelmed or stress remember new parents everywhere are feeling like you are and don’t forget to ask for help or for someone to watch your baby so you can have time to regroup. 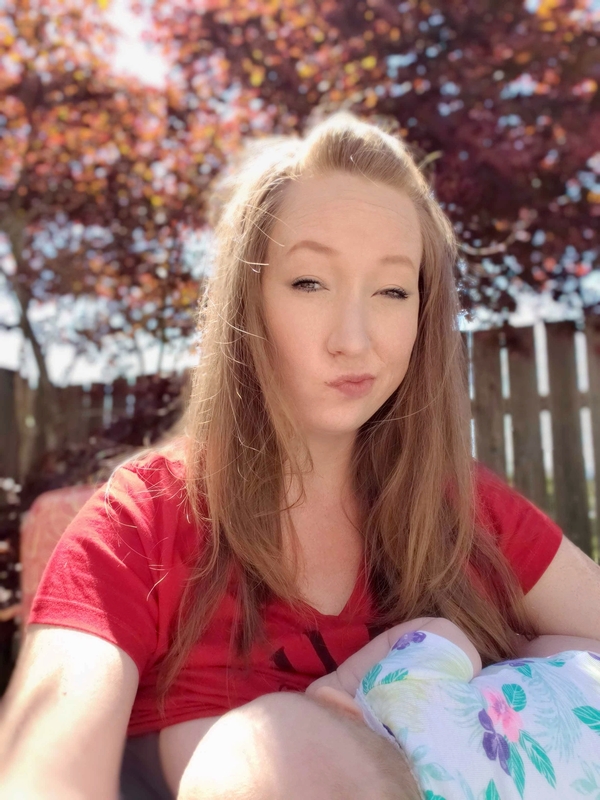 I thought I was never going to make it past those two weeks with breast-feeding! I always tell people to hang in there it will get better! I love this post! It is something every parent needs to read! Yes, I agree with a lot of this! I certainly had NO clue what I was doing. And yes, breastfeeding was tough. And it hurt sometimes. But I’m glad I stuck with it. this product call my attention that might be so helpful for all .I’m so happy to know this .. And must be share this i know allot of mom. will be in good benefits of it. I wish I knew a lot of things back when I got pregnant with my first. Many people worry about being a perfect parent, well noone is perfect so let that go and you’re well on your way. Totally agree with you on this one as a new parent myself. That product sounds great, will check that out sometime. I breastfed my two kids for almost two years each and loved it. 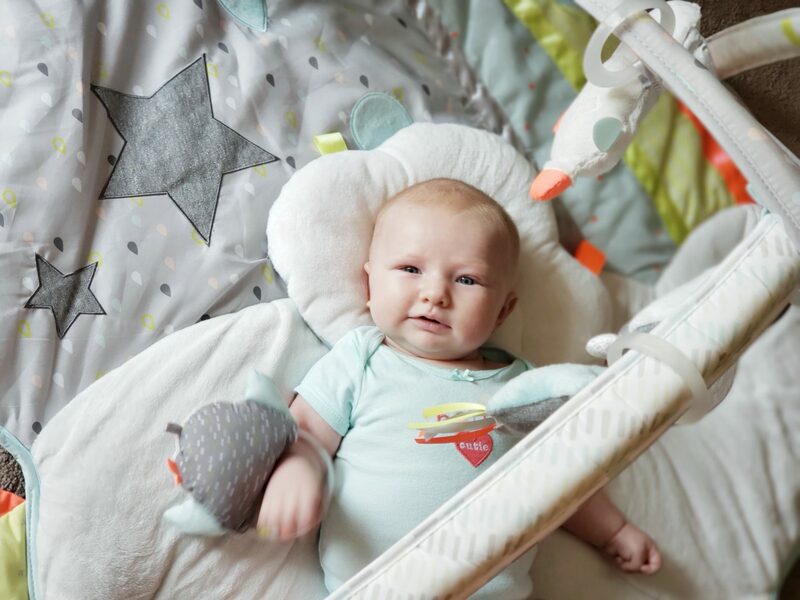 It’s a little harder at first but once you get the hang of it, it’s enjoyable bonding with your baby. I don’t have kids but YES to no one knows what they are doing. I think it’s so easy to be a “good parent” from the sidelines but until you are in the trenches you don’t really know!! I’ve never experienced being a mother but I have seen friends go through it. It’s definitely not a walk in the park and it’s not about being the perfect mother/parent. I love these lessons that you learned and I hope that parents can read it! There really is so much more than people realize. They are 100% worth all of the effort though; you two look amazing! I wish I had known about this. I am three kids in and had no idea! My wife and I started ‘family planning’ at the beginning of the year. We just found out we are having TWINS. I’m terrified.